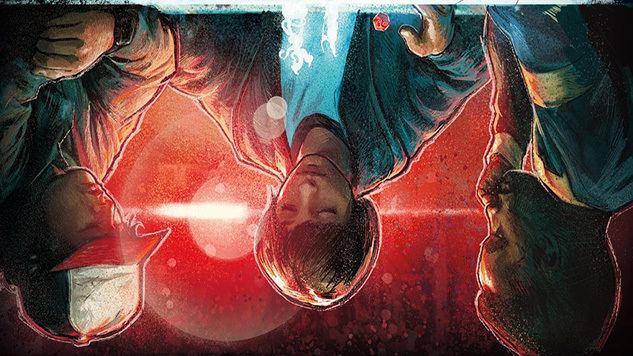 There will soon be many a platform through which you can delve into the world of Hawkins, Indiana, from Netflix’s hit series Stranger Things. 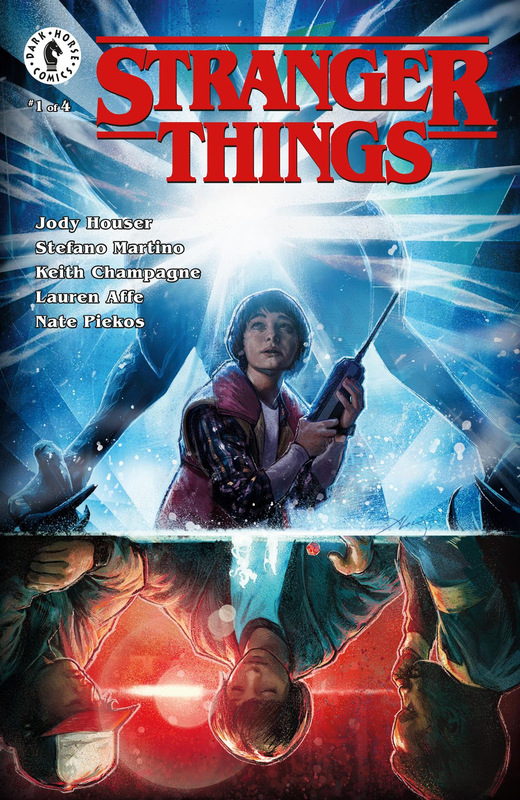 A book and videogame were announced earlier this month, and now a line of comics and young adult graphic novels based on the show is in the works, as well. 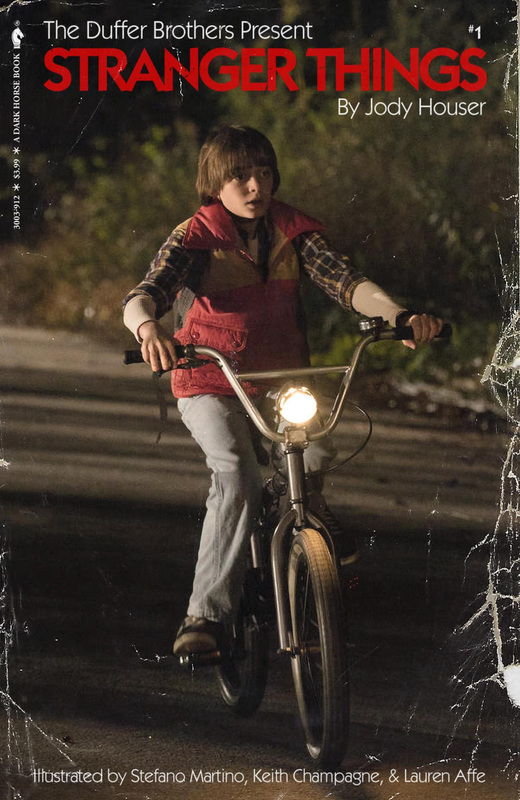 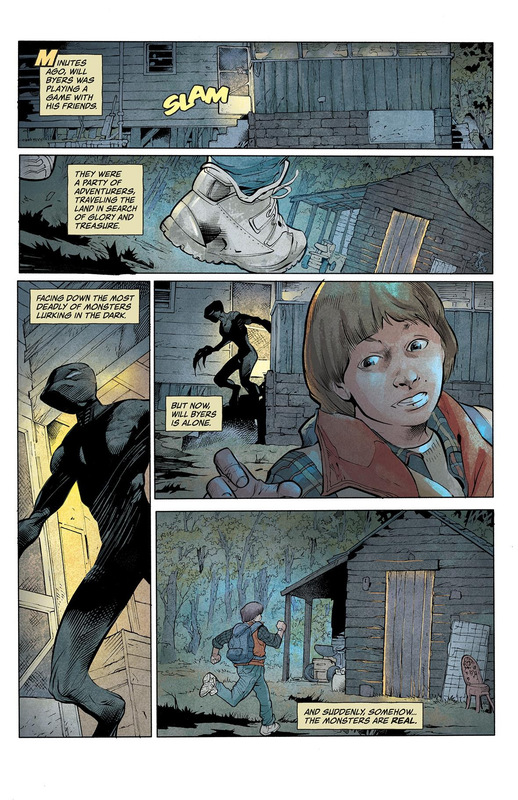 The initial comic offering is a four-issue mini-series, with the first installment following Will Byers and his journey to escape both the Demogorgon and the Upside Down. 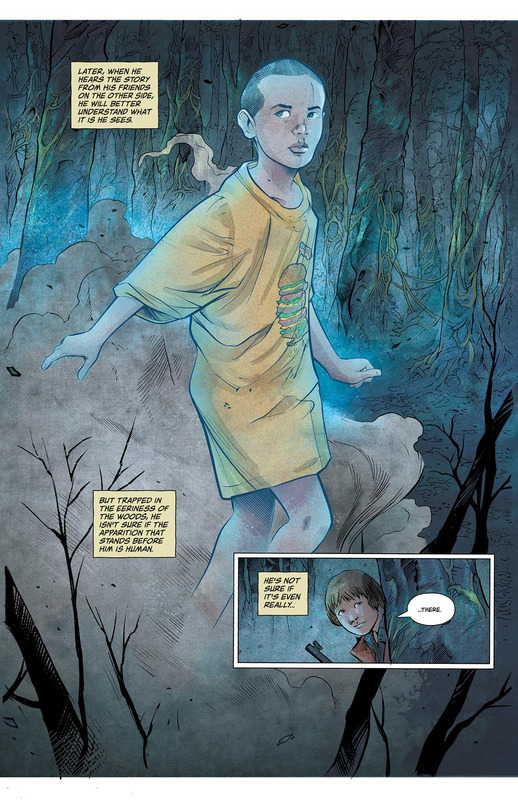 The comic is being written by award-winning writer Jody Houser (Faith, Orphan Black, Mother Panic), and will feature pencilling, inking, coloring and lettering by Stefano Martino (Legs Weaver, Nathan Never), Keith Champagne (JSA, Superboy), Lauren Affe (Rebels, Five Ghosts) and Nate Piekos (Briggs Land, Green Arrow), respectively. 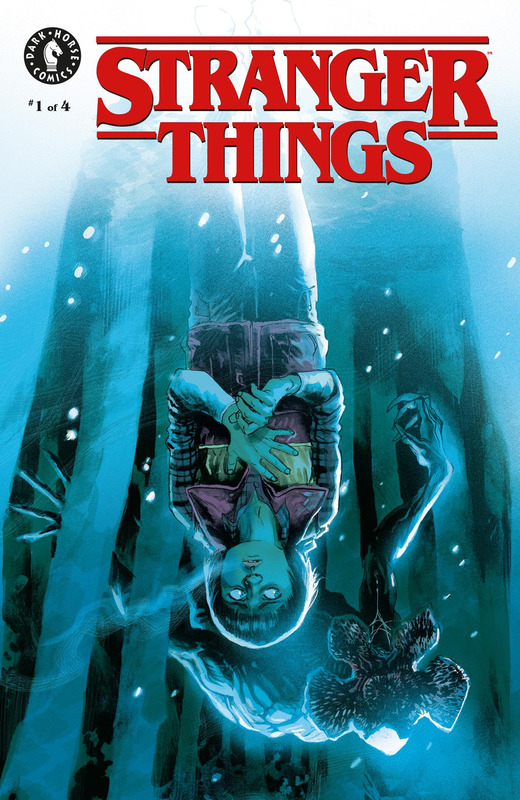 Stranger Things #1 goes on sale on Sept. 26 and is available for preorder at your local comic shop. 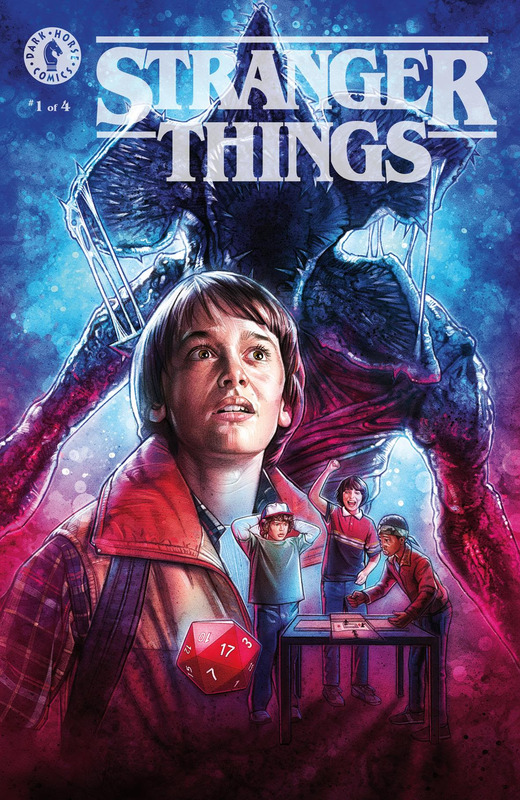 See the issue’s cover art by Aleksi Briclot (New Avengers, Maskemane) below, along with two preview pages and variant covers from Rafael Albuquerque (American Vampire, Blue Beetle) and visual artist Kyle Lambert, and a photo-variant cover designed by Patrick Satterfield and Netflix.